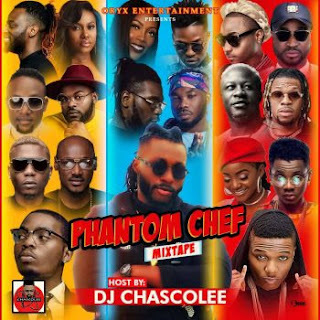 Here is PHANTOMCHEF MIXTAPE powered by Oryx Entertainment and Super Sensational Turntable Wizard with over 2 Decade of DJ Experience; Dj Chascolee. Phantom chef Mixtape all-stars CD compilation (a project that has been in the back burner for years) featuring music from a diverse group of young Nigerian acts. Be the first to download and share your thoughts.